We asked our readers on our Facebook page last week if they thought it was a good idea to implement a 20mph zone in villages in the Carrick area. And, going from your answers, it is clear that road safety is a huge issue on our village roads, and one that certainly needs to be looked at. Residents are to be consulted by South Ayrshire Council on the plan put forward at the recent full council meeting by Councillor Peter Henderson, seconded by Councillor Ian Cochrane. 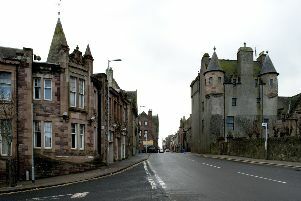 This was echoed by Sally Andre, who said: “It might make the 40mph idiots slow down to 30mph if nothing else”, and Iain D Drynan, who wrote: “I stay on Henrietta Street in Girvan and the speed they go along at is a disgrace, but as usual, no speed guns or cameras to be seen. Try getting them down to 30 before you try 20, fed up complaining about it as nobody listens, especially the police.